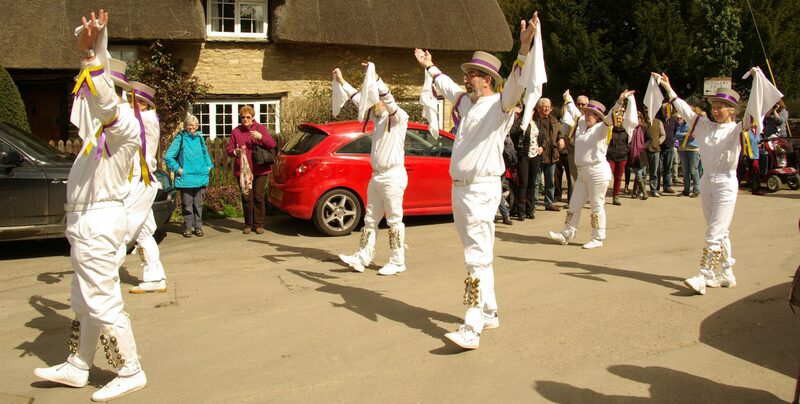 The home of the Ducklington Cotswold Morris Tradition. This is a list of the dances in our repertoire. Not yet notated are the solo and double jigs. Although it is intended to record these, whether they will appear on the website is still under consideration, as they are very much open to interpretation by the performer, and are mostly considered the property of an individual dancer. The notation is intended for dancers with some experience of the morris – we certainly wouldn’t expect anybody to start from scratch with these notes; in fact we would probably advise against it. It is very difficult to convey style and feeling with words so it is likely that anyone using these notes would come up with something different. For the ‘genuine’ article, to find out more, volunteer your services as a sure-footed Number Three dancer, or just have a bit of a banter, contact us. These notes were originally prepared by Andy Cheyne, while foreman, and have been taken on to their current state by the present foreman.